Come and play golf directly in the centre of Carlsbad on a unique and prime quality golf course which does not have many parallels all around the world. We built a prime quality golf course in a peaceful location of Carlsbad for you. 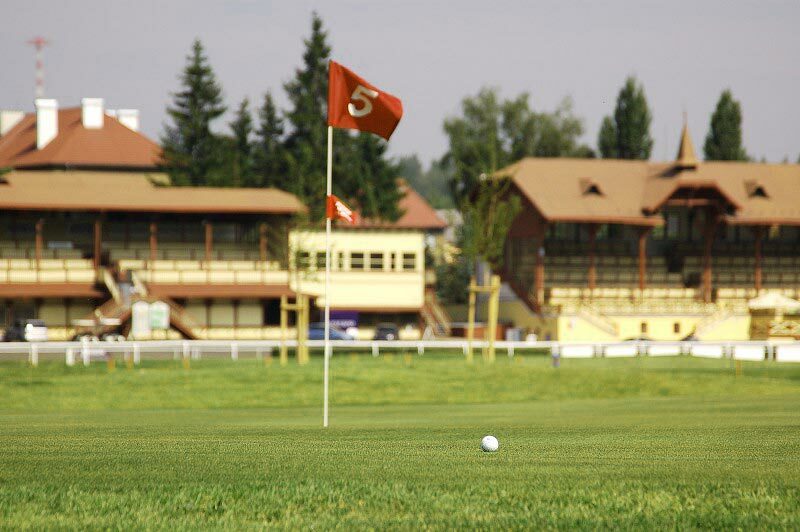 A unique project, not having many parallels in the Czech Republic, is accessible to the general public and suitable for holding golf tournaments of middle and lower categories. The construction of the golf course followed and met the valid USGA norms for putting green construction worldwide. The golf course has PAR 68 parameters and the entire length is 4,932 m. There are 9 fairways and 18 greens and after playing the standard 18 holes a golfer plays each fairway twice but to different greens. The individual fairways of the golf course are from 120 m (Par 3) up to 485 m (Par 5) long.